I found a Valentine’s craft in the book and Mai wanted to make one for her Nana. We started making them on paper, but decided to make it on leftover clay from a previous project instead. 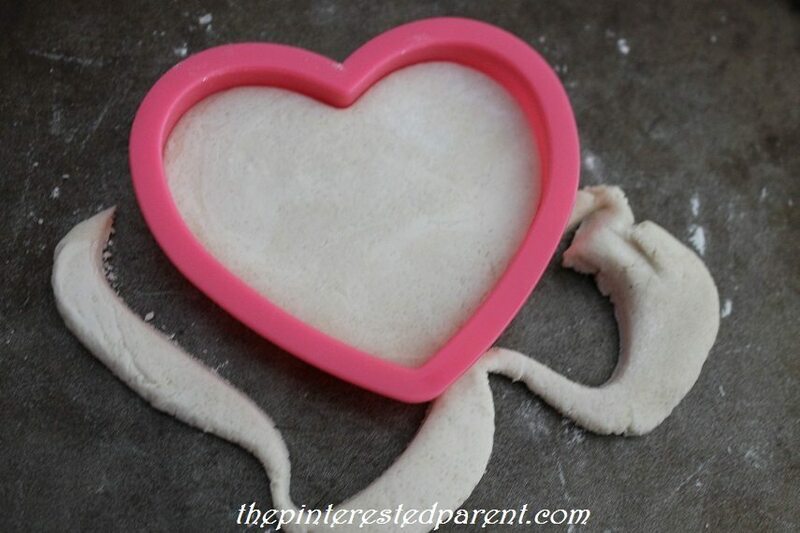 We rolled out a small disc of clay with a rolling pin and my daughter pressed her thumb into the clay at two slants like a “V” to form a heart. We used a straw to poke a hole at the top of the ornament so that we could string it up to hang. 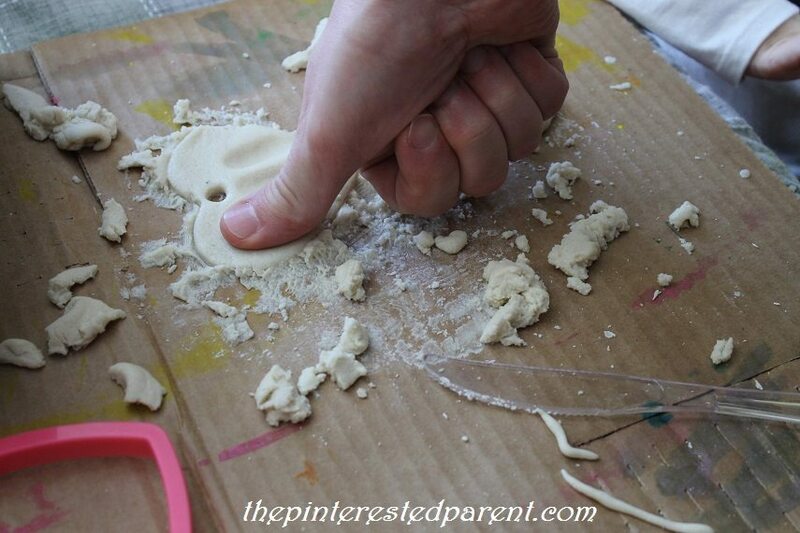 Our ornaments were ready to go, so we preheated our oven to 250 degrees and continued to make more clay fingerprint ornaments while we waited for the oven to warm up..
We rolled out more clay and used a heart-shaped cookie cutter to make one more keepsake for us at home. My husband, my daughter and I all pressed our thumbs into the heart side by side. My daughter and I put both clay shapes in the oven and baked them for about an hour. The time will vary according to thickness. 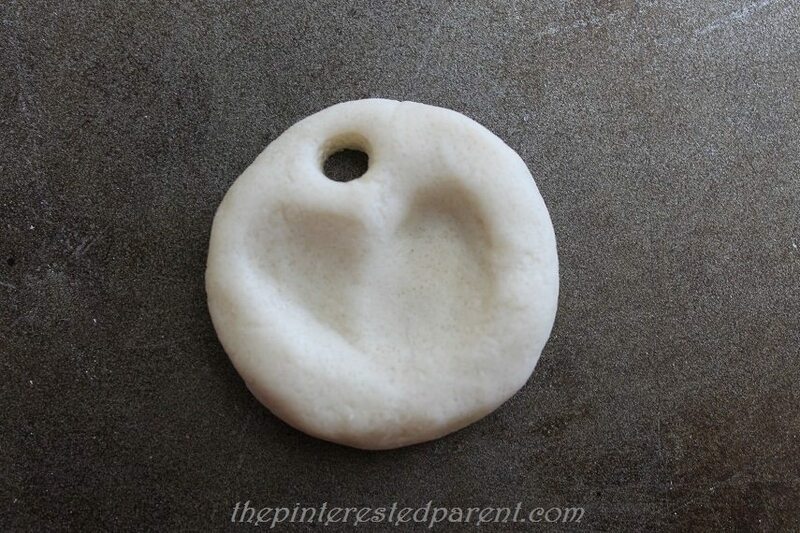 When our shapes were hardened and cooled, we painted around the thumbprints in white acrylic paint. 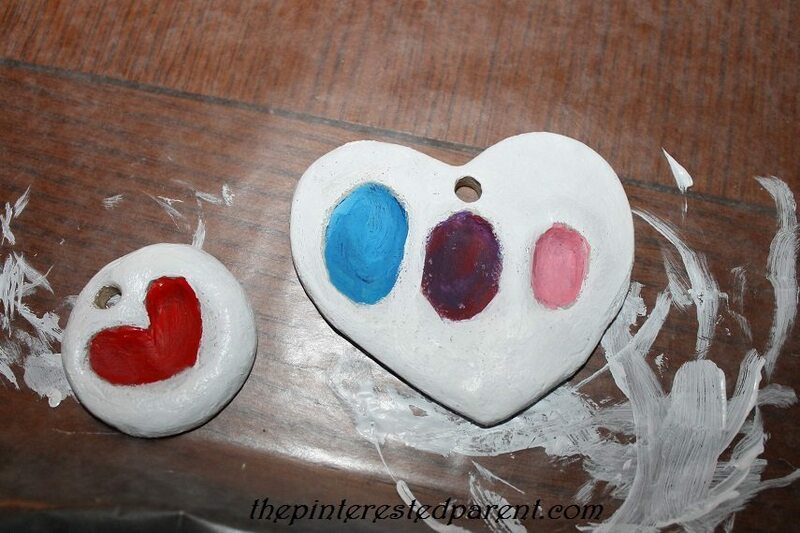 Then we painted the inside of the thumbprints on both ornaments and let them dry. When the paint was completely dry, I used a Sharpie an drew in simple sketches of our family and then threaded it with yarn to finish it off. For the thumbprint heart, we used the Sharpie again to write our daughter’s name underneath. Both of these will be a great addition to our Christmas tree this year. Thank you! Mai was very excited to give her heart to her Nana.